talkhealth > Blog > 2013/06 > Up! Down! Up! Down! Lately I’ve enjoyed sitting back and observing Bud, seeing how she chooses to amuse herself. She shuffles around the house finding things to play with and/or destroy. 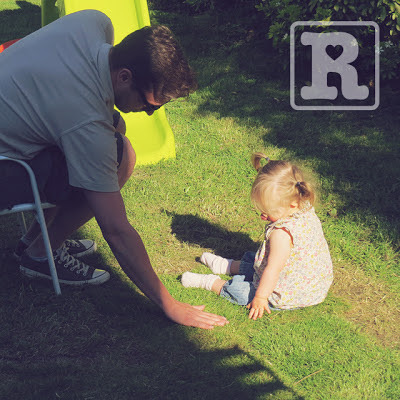 If she isn’t playing or throwing something half way across the room she’ll be sat there chatting to it, she’s that sociable she will chat to anything, chair legs, the bin, her books you name it! It’s pretty safe to say however, that when her brothers are about not much else in the house gets a look in, least of all me! 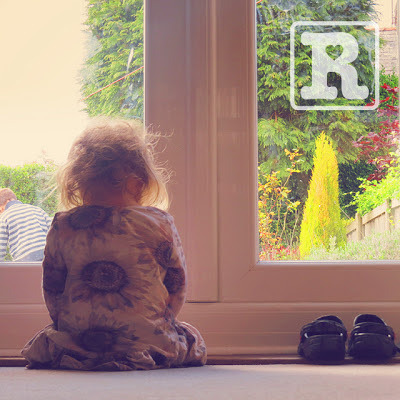 Just the other day the boys were playing out in the garden enjoying a rare spell of Northern sunshine and there was Rosie pressed up against the patio doors totally engrossed in her brothers. She sat there for ages laughing away to herself at all their silly antics! I know I’ve probably written this a thousand times before but the boys really are so good with her, and why wouldn’t they be? She is their little sister after all – which is exactly how they see her. 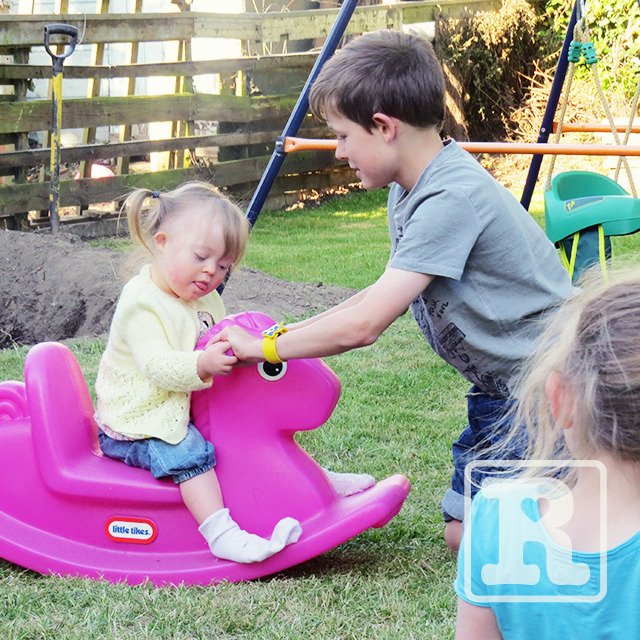 There’s no pretence or extra effort going on here it’s a natural sibling bond pure and simple. 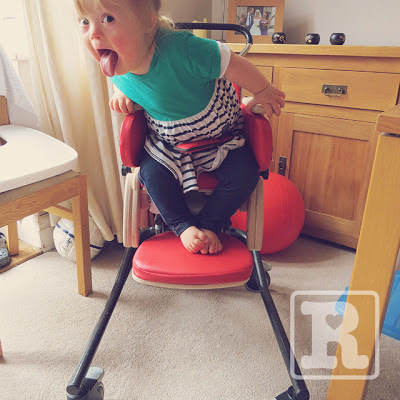 There would be no reason (as far as I can see) for them to know or be aware of her extra chromosome, in fact I’m positive the only reason they do know she’s built ever so slightly differently to themselves is because we spoke about it as a family in the early days of finding out. About three months ago now Rosie was measured up for a special chair. 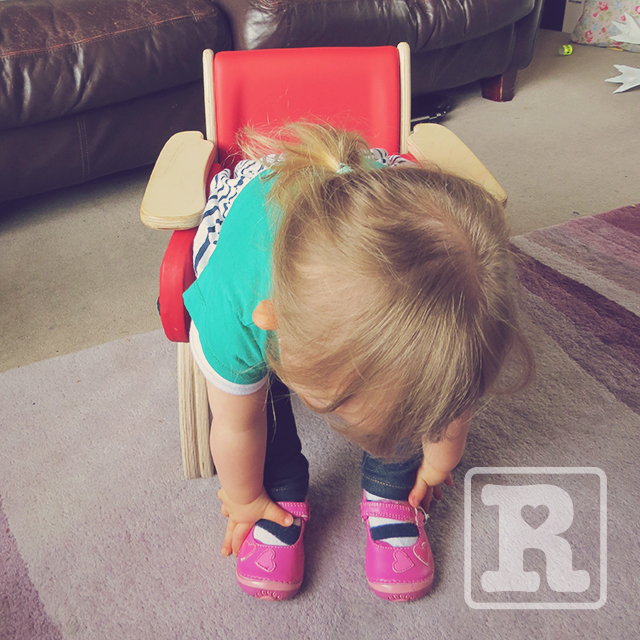 It’s designed to teach her to sit properly by encouraging her to use and develop the correct muscles. We took delivery of it this last week and it’s brilliant. It has multiple uses and can be used as a stand alone ‘arm chair’ for chilling in front of the telly or attached to an adjustable frame to make a high chair. Of course, it’s too early to say whether it’s genuinely helping her or not but she certainly likes being in it which is a pretty good start. 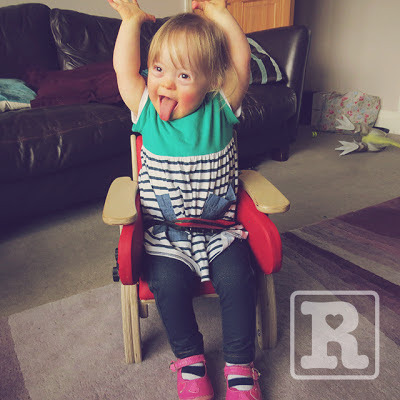 The rules are fairly straight forward, she throws her arms in the air, shouts, “Up!” you then copy her before she throws them down again, not forgetting the all important shout of, “Down!” It’s a bit like Simon Says except it’s Rosie saying it and there’s only two actions! The game itself basically lasts as long as you’re able to endure. I haven’t managed to get footage of it yet but the pictures below should give you the idea for now. It’s my intention to upload a video here soon so watch this space!